Keeping up with tech can be an expensive business, and it isn't always possible: just ask anyone with an HTC One X or HTC One X+ who thought they were going to get the Android KitKat upgrade. Relatively minor OS updates can easily render perfectly good devices redundant by blocking access to app updates, and something as simple as a new charging connector can turn an expensive ecosystem of accessories into a bunch of junk with plugs. You can't predict the future, of course, but some devices are more likely to stand the test of time than others. Here are our nominations for the tech that's built to last. The wider world may have fallen out of love with the humble desktop - laptops started outselling them in 2008 - but a well-chosen (or well-thought-out, if you like building your own) desktop PC is almost infinitely upgradeable both inside and out. Whether it's a bigger monitor, a faster graphics card or a complete replacement of everything bar the power supply, the desktop PC is one of the most future-proof devices you can buy. Hurrah for old ideas: the humble headphone jack has kept headphones compatible with all kinds of audio kit since Sony popularised the 3.5mm jack in its 1979 Walkman. If you invest in 6.3mm and aeroplane adapters you can be confident that your newly purchased 'phones will work with almost anything. It may be eye-wateringly expensive, but the new Mac Pro is also the most upgradeable Mac you can buy: even the processor appears to be user-upgradeable, and there's a whole bunch of external expansion ports too. PC owners are probably sighing "big wow" here, but when you're dropping several grand on a machine it's nice to know it'll still be current long after you've paid off the credit card bill. Only one spec matters on a Chromebook: the speed of your internet connection. 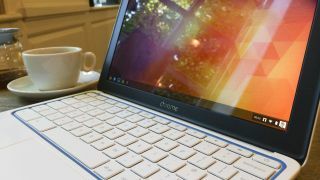 Freed from the need to run desktop software with its ever-expanding system requirements, the only thing that's likely to render a Chromebook obsolete is Google losing interest in the entire platform. That's hardly likely. Digital SLRs don't just take brilliant photos: they're also part of a huge family of lenses and accessories, and while the technology inside them may get smarter and smarter the DSLR you buy today will be just as fantastic and expandable several years down the line. Amazon wants to sell books, not hardware, because that's where it makes its money - so it has a vested interest in keeping old Kindles current. While stand-alone sat-navs are on our endangered tech list thanks to the rise of smartphones, that doesn't mean the good ones aren't still sensible buys for road warriors. Products such as Garmin's 2798LMT don't just offer regular map updates, but a lifetime subscription to traffic information services too. 55 inches is the sweet spot for 4K TV: anything smaller and you're unlikely to notice the benefits unless you sit with your nose against the screen. Sticking with slightly smaller sizes means you can happily ignore the 4K hype until prices have plummeted. Sonos isn't interested in a short-term relationship with you, so when it makes a new product such as the Sonos Play:1 or comes up with a new feature it provides a free software update to bring existing kit up to speed. Hurrah for standards. Peripherals that connect via USB, USB dongles or Bluetooth will be peripherals of joy forever. The original iPad aside, Apple is pretty good at supporting older kit: the current iOS 7 is supported on 2010's iPhone 4 and 2011's iPad 2. And when Apple does give up on its iOS devices, the jailbreak community is happy to step in. Android's more of a mixed bag: while Google offers binaries for its Nexus devices, most official Android updates are dependent on manufacturers' whims. While wrist-mounted fitness trackers look great, they usually sport non-removable batteries - and that means their lifespan is limited to a couple of years of normal use. Devices such as the Fitbit Zip might not be as fun or as funky, but the use of plain old watch batteries means it'll keep on running as long as you do. Could this really last ten years? The Xbox 360 has been around since 2005 and the PS3 since 2006, and publishers are still releasing triple-A titles for them. Microsoft says the Xbox One is designed to last a decade, and while Sony is more cautious - Sony Computer Entertainment UK boss Fergal Gara told us that the PS5 might appear more quickly than that - we're right at the beginning of a console generation, so either console is a good long-term bet. If you're looking for a laptop that'll deliver the goods for years to come it'll cost you - top-of-the-range laptops will easily set you back £1,700 - but you're paying for a lot of power. Both the Mac and the Dell boast fourth-generation Core i7 processors, can drive at least one 4K display and are built to last; the Dell has more expansion ports and the Mac more pixels. We've put both laptops through their paces here.